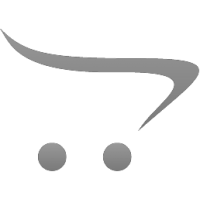 Welcome to the GearBlast merchandise store in partnership with RebelScum Workshop. If you require a VAT receipt, please email webstore@rebelscumworkshop.co.uk with your order number and we'll email you one. 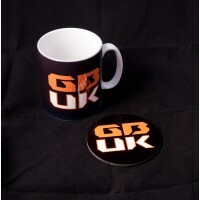 High quality printed and contour cut stickers of the GearBlast:UK Fetish heads, GBUK logo and GearBl..
11oz Durham style, fully dishwasher safe, mug featuring the GearBlast cog 'G' logo in GBUK orange on..
GearBlast:UK Fetish Head and logo coasters to compliment the GBUK mugs. 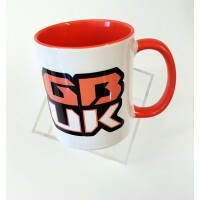 Eight coasters to coll..
11oz Durham style, fully dishwasher safe, mug featuring the GearBlast cog 'G' logo in GBUS red on on.. 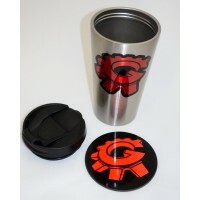 Brushed stainless steel, double skinned, thermal travel mug with black screw-on lid to avoid spills ..
GearBlast:US Fetish Head and logo coasters to compliment the GBUS mugs. 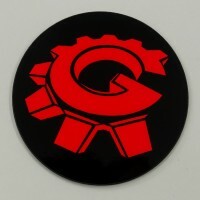 Eight coasters to coll..
High quality printed and contour cut stickers of the GearBlast:US Fetish heads and GearBlast 'G'.&nb..